Home | Hair Care | What Is A Dermaroller & What Are Its Benefits? Dermarolling 101! Benefits Of Using A Dermaroller? 2018 Update: Is The Dermaroller Still Working For Me? Just how much are you willing to suffer for the sake of your skin and beauty? That’s the question we’re dealing with when it comes to derma rolling. 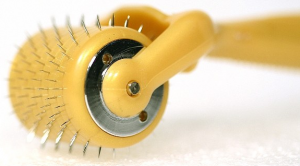 Nah, just kidding, the truth is that derma rolling – the process of using a derma roller (a roller with hundreds of tiny needles attached to it, picture a prickly lint roller) to clean your skin – isn’t as scary as it might seem! 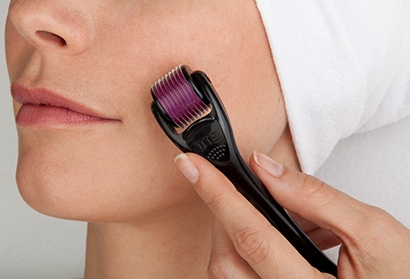 While a derma roller may look like some kind of a torture device, it’s actually quite helpful and not painful at all when used properly.There are a plethora of benefits to derma rolling that can be taken advantage of when you follow a rolling-regimen, which is why it’s one of the hottest skin-health practices today. We will cover the ins-and-outs of derma rolling – how-to, benefits, uses, and a full review – here in our derma rolling feature, so buckle up and get ready! 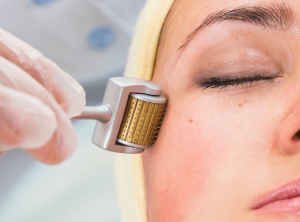 Before we explain what derma rolling (also known as collagen induction therapy, or CIT) is, we need to explain what a derma roller itself is. A derma roller is a handheld roller-device covered in microneedles – needles ranging in length from 0.25 mm to 1.5m – which is rolled over the skin. This is done in order to create tiny punctures on the skin which triggers skin repair, leading to the creation of new collagen. A bodily protein made up of amino-acids, collagen is the part of the connective tissue that helps in firmness, strength, suppleness, and elasticity in skin. Therefore, the short-term wounding of the skin is intended to trigger the production of a protein that will actually in turn strengthen the skin to a healthier level than before. Think of derma rolling as you would think of weight training and working out – you create small tears in your muscles so that the muscle is repaired and made stronger than before. Not a perfect parable or comparison, but you get the idea. Now, derma rolling benefits aren’t just gained in the needling and resulting repair of the skin. Derma rolling is capable of exposing deeper layers of your skin to the benefits of various topical ointments, natural oils, treatments, and products, leading to greater effectiveness and therapeutic effect. In other words, after derma rolling, your skin will be more susceptible to the effects of anything that comes into contact with it, based on the increased exposure to the vital most layers of the skin. Therefore, any and all skin treatments or supplements (such as avocado oil, coconut oil, sunflower oil, or jojoba oil) could be enhanced in effectiveness if applied after derma rolling. However, this is a bit of a two-way street; after derma rolling, skin is generally at least mildly irritated, and just as vulnerable in terms of exposure to skin-harming elements and products. Therefore, it’s important to never (ever!) try a new skin product after derma rolling. The reality is, we never know exactly how our skin might react to a new product or ingredient, and if the reaction is a negative one, this will only be exacerbated by the skin being freshly needled and exposed. It’s also important to note that, in this same vein, you should remember not to panic to initial skin irritation and redness following derma rolling! Sadly, this sort of a skin-reaction is to be expected in many cases – the skin, having been freshly ‘wounded’, needs to get worse before it gets better. The shorter the needle length, the lesser the irritation is likely to be, and results will generally vary depending on the person. Your skin is also likely to have increasingly diminished reactions to derma rolling, so keep at it and your redness and irritation is sure to wear down faster. Lastly, patience is a virtue across the board when derma rolling: you should only start to see improved skin after five or more ‘sessions’. Don’t give up if your skin isn’t looking as healthy as can be after just one ‘session’! It takes time for collagen to work its magic, and your patience will certainly be rewarded! Although we have detailed the benefits of derma rolling to some extent above, the truth is that their benefits are plentiful and couldn’t be contained within a how-to paragraph. Whether you are someone who suffers from acne, dry skin, weak skin, scarring, aged-looking skin, and more – it’s hard to imagine a skin ailment that cannot be remedied or at the least improved via derma rolling. Not dissimilar to treating wrinkles, derma rolling has the capability to prevent and undo premature aging of the skin via triggering of collagen and elastin growth. By thickening, repairing, strengthening, and upping the elasticity of skin, derma rolling can have an anti-aging effect by giving skin a stronger, more youthful appearance – which is why it is one of the most frequently turned to skin treatments for anti-aging. A condition in which parts of the skin become darker in color than the surrounding skin, hyperpigmentation is highly noticeable and can make those suffering from it feel self-conscious and insecure. Luckily for those of us unfortunate enough to be dealing with hyperpigmentation, there is derma rolling. By helping to shed the top most layer of skin and produce melanocyte, derma rolling can diminish the effects of and even eliminate hyperpigmentation. Clogged and enlarged pores are not only unattractive, they can lead to great problems such as an increasingly acne-damaged layer of skin, blackheads, oily skin, and more. Often located on the nose and around the cheeks, derma rolling can help to reduce the size of enlarged pores by, again, producing collagen, as well as by thickening the epidermis. Before you understand how to properly use your derma roller it’s important to take note of the fact that not all derma rollers are exactly the same. The primary differences in derma rollers come in the length of the needles being used – and these differences in size are far from incidental. Different lengths can have different effects, the longer the length generally causing a more severe impact. Intended only to increase absorption of skin care products, 0.25 mm is the most mild and un-serious of the needle lengths. Unable to stimulate collagen growth, this length is strictly used in order to help skin care products to achieve a more beneficial impact. No bleeding or pain is experienced as a result of 0.25 mm needling. The second to lowest length of needle, 0.5 mm derma rollers are used to treat shallow and superficial damage to skin. Still on the short side, 0.5 mm needles can cause some minimal pain and bleeding, and can only trigger minor collagen growth. An ideal solution for wrinkles, scars, and stretchmarks, the 0.75 to 1.0 range is when we start to see some serious derma rolling-impact. A greater recovery time between needle treatments is required (4 to 7 days) due to the increased invasive nature of the session, and moderate bleeding is not uncommon. Anything in the 1.5 mm range of derma rollers or higher represents more than a simple at-home skin remedy – it is a serious skin treatment that would-be users need to understand the risks of. A painful and bloody treatment even in the best-case scenario, 1.5+ mm treatments are used to treat the most severe scarring, stretch marks, and skin ailments – this treatment is more often used on the body than the face, due to the intense redness and bleeding it has been known to cause. In addition to the many benefits which can be taken advantage of for the sake of your skin, derma rolling can be performed on the scalp in order to help combat and reverse the effects of hair loss. Rogaine for men or women isn’t your only option, here! 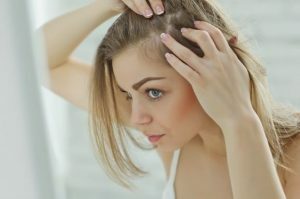 There are two different ways in which derma rolling can be performed on hair – singularly, or in conjunction with hair loss medications in order to facilitate absorption. 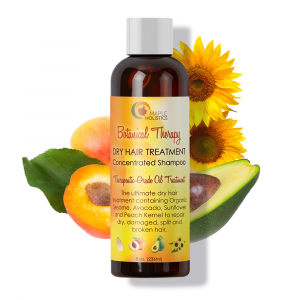 Absent the use of hair-care products, dermarolling can promote hair growth by increasing blood flow to the hair follicles, thereby inhibiting factors which can cause hair loss. As was described in regards to skin, derma rolling can also help to increase absorption on different areas, which would help the scalp absorb treatments such as minoxidil more easily and to improved effect. One of the worst and most lingering effects of acne is not the skin blemishes and pimples themselves, but the lasting scarring that they leave. When acne hits, the skin has an inflammation response to the damage, after which the body will try to repair the damage, producing more collagen which, combined with the inflammatory response, can create scarring. Picking the blemishes increases the inflammatory response of the skin, so it is important to remember never to needlessly inflame the skin on your own. Once the scarring has already set in, however, derma rolling can help to undo it. The prickling of the skin by the derma roller will cause the skin to repair and replace itself which, if done over a long enough period of time, can eventually wear down and eliminate scars. Dermarolling stretch marks results: before & after. Regardless of their primary cause, there isn’t anyone who will tell you that they are a fan of their stretch marks. One of the most common concerns of women during pregnancy, as well as a large number of folks who encounter the scarring and markings during their day-to-day lives, stretch marks are an unsightly skin marking that has not been fully remedied – only treated to varying degrees. The time it will take to have a serious impact and see real effectiveness will vary, but derma rolling has been used to repair and eliminate stretch marks to excellent effect – try it today to start putting your derma roller to work for you! I personally tried derma rolling for a period of three months, and let me tell you, I won’t be phasing it out of my beauty regimen any time soon. 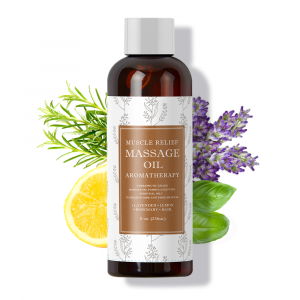 I’ve suffered from a myriad of skin ailments in my time – stretch marks, discoloration, acne, acne scarring, and more – and my skin has not looked this good since before my teenage years brought on the dreaded acne damage. I’ve tried every miracle skin cure in the book in order to heal my skin-related woes, and none did as much for me over the course of years as derma rolling has done for me in this relatively short period of time. Although I must day, skin mists did work great! Recommended to me by my doctor, I was initially interested in derma rolling when I learned what it could do for my acne scarring, but that was before I realized that it could remedy a number of other skin problems I was suffering from as well. While derma rolling did not fully eliminate my acne scarring over the course of the three months (I performed bi-weekly treatments with a 0.75 mm needle roller), it did wear the scarring down tangibly, and there is promise for greater results to be achieved with a continued steady schedule of treatments. The stretch marks on my thighs are the most faded they have been since before my pregnancy, my mild skin discoloration is less noticeable than ever, and my skin has a more youthful complexion and look. I can’t wait to see what another three months of derma rolling will do for me – find out what it can do for you by trying derma rolling today! Derma rollers are some of the most effective skin care techniques around. 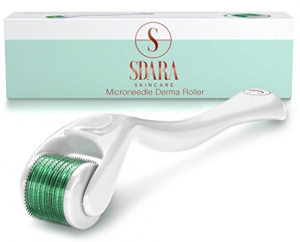 The idea of micro-needling is by no means new, but companies like Sadra make it even more accessible. The 0.25mm needle has been observed to be the safest for home use, and the Sdara roller is easy enough to use. Results do take a while to show themselves, but the process itself is not at all unpleasant. The titanium needles glide along nicely, and there is a clean motion. The motion is key, since the idea is to apply some pressure without puncturing the skin. It certainly felt like an exfoliant of some kind was working on my skin. After I finished with it (up down, left right) I sprayed some alcohol on it, and put it back in its case. Remember not to use any moisturizer or lotion on your face beforehand. Keep it clean and dry, so the derma roller will be able to do its job properly. While it is possible to get these sessions done at spas and salons, but unless you have issues, it is a lot cheaper to get it done at home. Osportsfun has a rather odd selection of products. From cosmetics to DIY hacks and electricity travel adapters, they’ve got you covered. But I didn’t try out their touch screen digital air fryer. No no. I tried out their derma rolling apparatus. If you’ve seen one derma roller, you’ve pretty much seen them all. Other than the ones which are used at professional spas, which may differ in needle sizes and such. This one, like the former, comes equipped with a .25mm needle, for home use. I have to admit that I am not a skeptic, and I was happy to see that this derma roller helps to provide results. After a few weeks of using it (once or twice a week is their recommended use), I noticed less spots overall. I didn’t have that much trouble with acne to begin with, but I wanted to experience different rollers at home. Some people are obsessed with derma rolling, but I knew enough from past experiences to follow directions and get things done in their own time. If the roller says once a week, I do it once a week. Just like the first two, this one also possess an array of – say it with me now – .25mm titanium needles! This roller actually also comes with 3 free e-books which include everything for the novice needler: FAQ, common errors, step-by-step, and more. 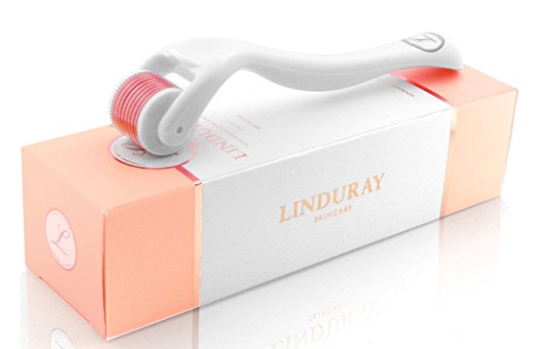 The Linduray roller is a quality roller, and that is crucial. Some of the other ones out there don’t look good or feel good, and this one looks and feels good on the skin. The e-books which it comes with recommended using a vitamin C serum after the rolling is done, and I was happy to oblige and give it a shot. It really is amazing what results you can get in just a few weeks. It is a way for you to keep your skin glowing and looking beautiful, and it shows. Obviously, there may be differences between skin types, but the roller gets the job done. Please remember to provide the skin with some time to recover. It is not recommended to keep poking at it with titanium needles. Once or twice a week will do. There’s nothing revolutionary about the derma roller – rather ironically. It’s a relatively old form equipment that is based on a timeless principle of our skin. So it’s easy for me to see why it would have a long-term appeal for anyone involved with professional or even amateur skin care treatments. Personally, the idea of derma rolling is something that will always appeal to me. 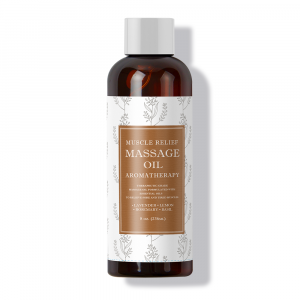 It’s less of a product and really more of a technique – much like a steam treatment or a facial mist. So in my opinion, it’s not going to go out of style anytime soon. It’s a quick and effective way to treat irritable, dry skin and is great at tackling spotty complexions and uneven skin tones. In fact, one derma rolling session a month has been more effective for me than all of the products I used to use in the past. It’s a simple and primitive principle that has consistent results – and great results at that. I’ve become deeply attached to my derma roller and always keep it clean. I’ve even gone so far as to buy a few additional attachments to get different results or experiment with them. So as far as 2018 stands – I can comfortably say I’m very happy with my derma roller and probably will be for a while. So long as you take care of your tool, it’ll take care of you in return. 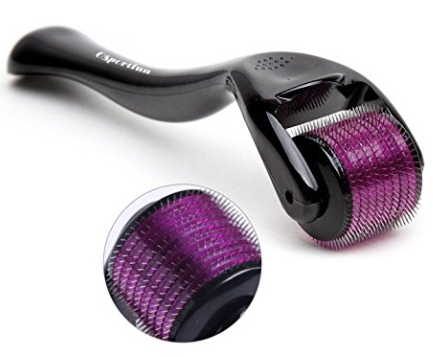 A properly kept derma roller is basically the skin care gift that keeps on giving. There’s something so charming about the sheer simplicity of this tool and it’s ease of use, that makes it appealing on a lot of levels. It’s highly effective, not too expensive (depending on the brand or model you choose to buy) and can be used by yourself. This is a one of the main reasons I would recommend it over laser surgery. There are a number of cases that prove how volatile laser surgery can be and much damage it can cause – not to mention the huge costs involved with the process. So instead of taking the risk (and spending all that cash), try a simpler. more natural option. Stick with your derma roller like I’ve stuck with mine and the results will have you smiling every day. So in short – yes, the derma roller still works perfectly for me and will always rank highly on my list of important equipment necessary for healthy skin care. I hope this helps to show you why it would be worthwhile investing in one of these sooner rather than later. Thanks for checking out our Derma Rolling feature! Read about the Health Benefits of Broccoli and Blueberries while you’re here at Maple Holistics! It’s important, as always, to note that one skin treatment should not make up all of your skin treatment. Derma rolling can work wonders for your ailing skin but you should not become overly reliant on it or any one skin treatment in particular. Using a proper facial cleanser or incorporating a series of essential oils into your routine, for example, can go a long way towards boosting the health and appearance of skin and are always highly recommended. Another important point to make is that derma rolling is not an noninvasive practice. Opening your skin in any capacity can present certain risks – it is absolutely vital that you consult a skin care specialist or physician before derma rolling. Be sure not to use your derma roller over an area of your skin that is particularly sensitive or irritated as this may serve to exacerbate the irritation. 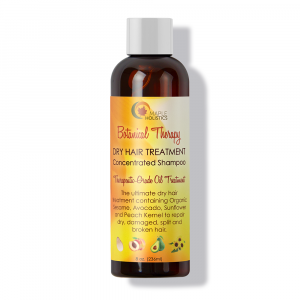 Apply soothing ointments and oils to the skin in order to heal the area before derma rolling. This is a good rule of thumb to follow in general: listen to your skin. Don’t take unnecessary risks for the sake of beginning your derma rolling routine. Better safe than sorry!